**"...saw the elephant?" also known as meeting the enemy in combat. Seeing the elephant' was a Civil War era expression meaning that you had done or had gone to something extraordinary. 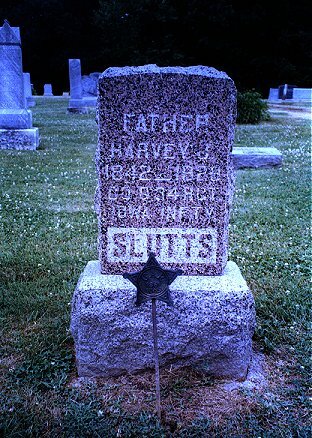 Harvey John Slutts a Van Buren Co. Iowa resident. 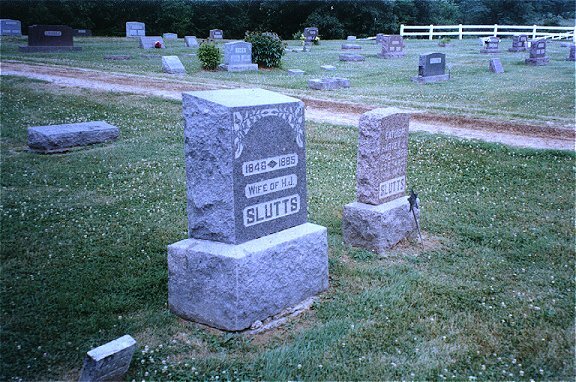 Born: 27 May 1842 Belmont Ohio Died: 1929 Buried Leando Cemetary Leando Van Buren Iowa Father: Noah Slutts Mother: Hannah Yaunt Wife: Catherine Children 1880 Census : Edith 11, Emma 10, Bertha 5, Orpha 2, Ada 9/12 of yr. Page by page, line by line, word by word translation of the above letter. The SAM GATY is the river boat I believe Harvey was going up the Mississippi with the prisoners. Name: SAM GATY, NEW Type: Sidewheel, wood hull packet. Size: Launched: 1853, St. Louis Mo. Destroyed: 1858, June 27, near Arrow Rock Mo. suddenly veered out of control, smashed into an obstruction, listed wildly, caught fire and burned up within 1 hr. Area: Mo. R. Captains: Dozier, Frank M., when she sank. Comments: Was in Indian wars. Comments: Mentioned in the Boone’s Lick Heritage Quarterly. 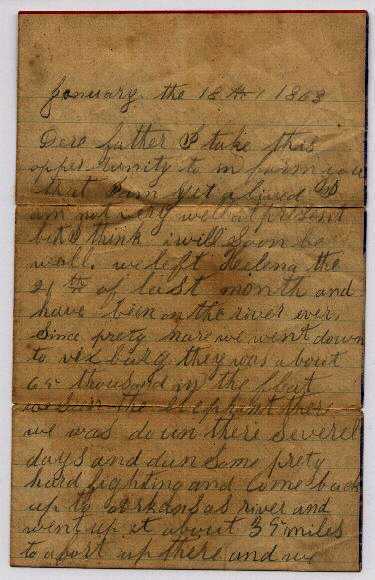 A letter from Hearvey Slutts to his father Noah Slutts written after The Battle of Arkansas Post, near memphis in route to St Louis Mo. with approx five thousand confederate prisoners. Click and find out how close the letter matches the historical account. Thirty-fourth Regiment Iowa Volunteer Infantry. Fisher, Milton, age 20, nativity Virginia, enlisted Aug. 12, 1862, killed in action Jan. 11, 1863, Arkansas Post, AK. Wyatt, Sacker, age 42, nativity Indiana, enlisted Aug. 11, 1862, discharged for disability May 12, 1863, Chicago, IL. The Ephriam mentioned is his oldest brother. PICTURE: Capture of Fort Hindman, Arkansas, 11 January 1863. 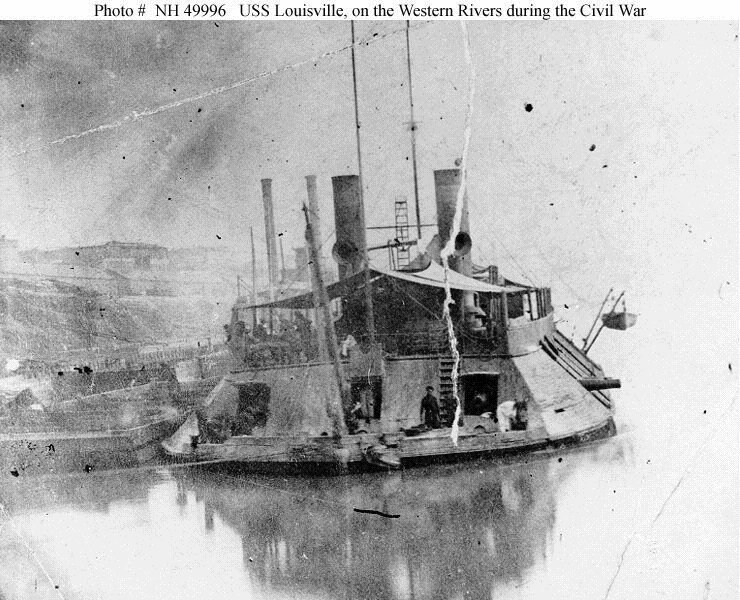 This riverine assault was typical of the many joint operations in the Mississippi River Valley during the Civil War. LOOK FOR THE IOWA-34 BOX FOR SLUTTS PROBABLE POSITION. David Dixon Porter was the son of Captain David Porter, a naval hero in the War of 1812. 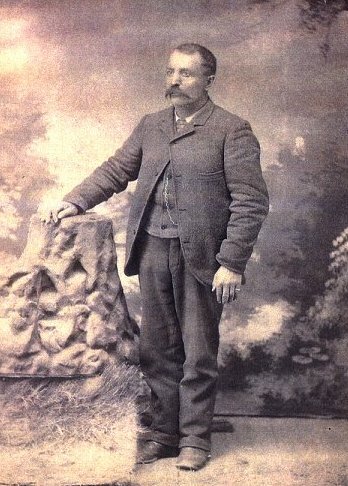 Born in 1813, in Chester, Pennsylvania, he received little formal education, but at an early age accompanied his father on cruises. He joined the Mexican navy before returning to the United States in 1829 to receive an appointment as midshipman in the American navy. He served in the Mediterranean, Brazil, the Coast Survey, and at the Hydrographic Office in Washington, D.C. Promoted to lieutenant in 1841, he saw action in the Mexican War and received his first naval command at this time. 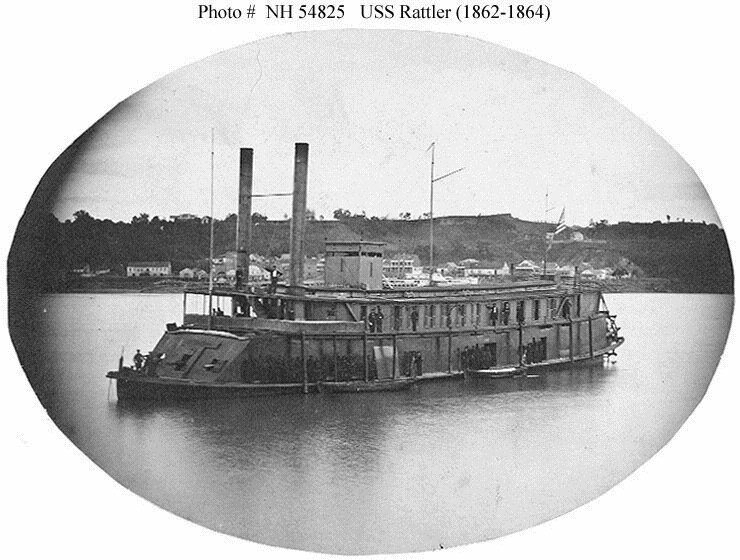 After the Mexican War, Porter worked for a number of private steamship firms before returning to the navy in 1855. As commander of the Supply, a storeship, he made two voyages to the Mediterranean for camels, which the army intended to use as pack ani mals in the Southwest. 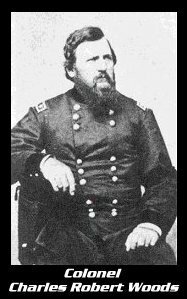 By early 1861, disgruntled by the lack of prospects in the navy, he was on the verge of resigning when Secretary of State Seward chose him to command the Powhatan in the secret expedition to relieve Fort Pickens. 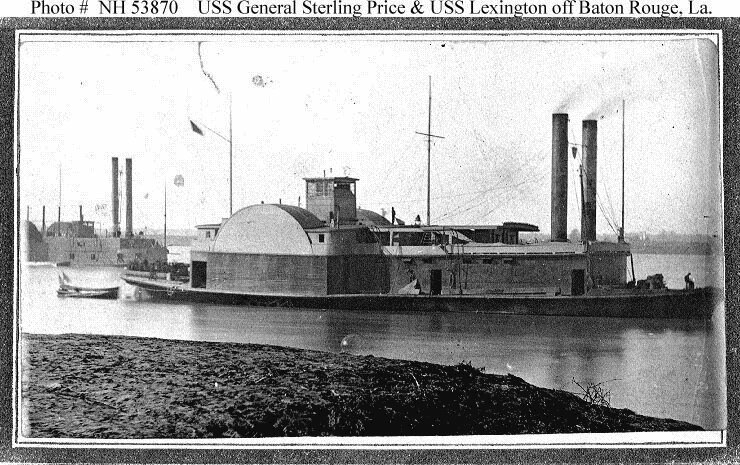 After arriving at Pensacola, Porter remained for six weeks performing guard and blockade duties before proceeding to Mobile, where he instituted a blockade. After promotion to the rank of commander in August 1861, Porter helped plan and participated i n the New Orleans expedition. In 1862, he was chosen as commander of the Mississippi Squadron, over the superior claims of numerous officers. He owed this assignment to the high opinion of his energy and bravery held by Lincoln, assistant secretary of the navy, G ustavus Vasa Fox, and also secretary of the navy, Gideon Welles. 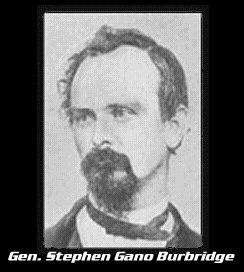 He kept the Mississippi River open and cooperated with the army in the capture of Vicksburg. He was promoted to rear admiral in July 1863. Later in the war, Porter commanded the North Atlantic Blockading Squadron and was instrumental in the capture of Wilmington, North Carolina, and its defenses. Following the war, he was appointed as superintendent of the Naval Academy, where he obtaine d increased congressional funding, enlarged the Academy's physical plant, and reformed its curriculum. He became vice admiral in 1866 and admiral in 1870, and served the Grant administration as naval adviser. His last years were spent on relatively unimportant naval duties and in a number of literary endeavors, which, according to one biographer, "he al one greatly admired." 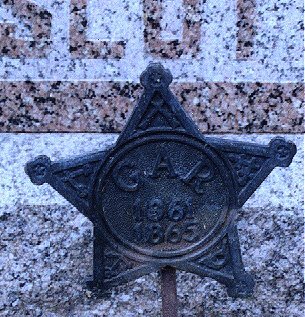 Porter died in Washington in 1891 and was buried in Arlington Cemetery. Bibliography: Charles O. Paullin, "David Dixon Porter," DAB, 15: 85-89; Bearss, "Civil War Operations . . . Part II," pp. 235-36. In a flotilla of armed and unarmed gunboats. 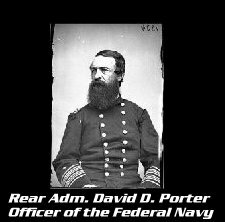 The river fleet consisted of three ironclads, six gunboats and more than 70 troop transports under Admiral David D. Porter. The U.S.S. Baron de Kalb, Louisville, Signal, Lexington, Rattler, Black Hawk (the command ship), and the Monarch among the boats participating. PEMBRINA DATA NOT AVAILABLE AT THIS TIME. General McClernand - the final straw at Arkansas Post. Grant knew that McClernand was inept, a politician not a general. Grant had fought with McClernand at Forts Henry and Donelson, and at the Battle of Shiloh. 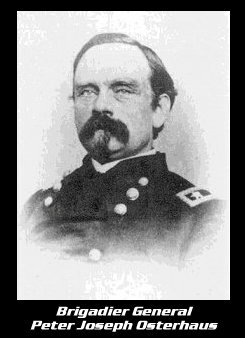 Grant knew that McClernand showed some good qualities, but was most eager for the praise and glory of battle, probably to enhance his political situation. During a post-battle conference after the attack on Fort Donelson, General Grant gave McClernand a long lecture on strategy in front of several other generals. Those present described Grant as having to restrain his anger during this detailed lecture. Thus began a clash of tempers that would affect both men in future operations. 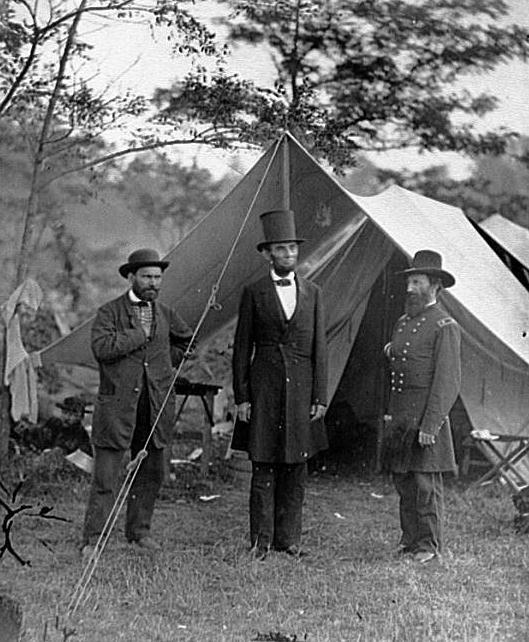 General McClerland (left) and Lt. Gen. Ulysses S. Grant (right) standing by a tree in front of a tent, Cold Harbor, Va., June 1864. 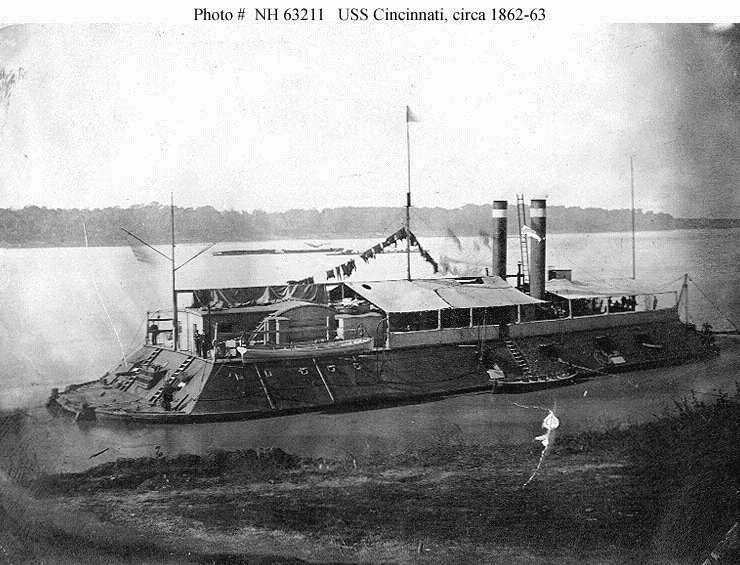 On October 9 1862 (six days after the photo belolw) President Lincoln informed Secretary Stanton and General Halleck that McClernand would be permitted to raise troops in the midwest and then lead an amphibious expedition against Vicksburg. Then, on the 20th, Stanton handed McClernand secret orders, endorsed by the President, stating that he approved of the expedition and wanted it "pushed forward with all possible dispatch." A frustrated and angry McClernand wrote his friend Abraham Lincoln, either accident or intention has so conspired to thwart the authority of yourself and the Secretary of War and to betry me, but with your support I shall not despair overcoming both. Dec 30, 1962. On the 15th day of October, 1862(6 days after Lincoln's orders), Iowa regiments were mustered into the United States service. On the 22d of November 1862, the regiment embarked in boats for Helena, Arkansas. 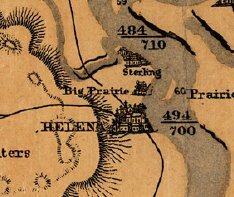 On the 5th of December 1862 the regiment arrived at Helena and reported to Brig.-Gen. Steele, commanding the district of East Arkansas, and remained at Helena. 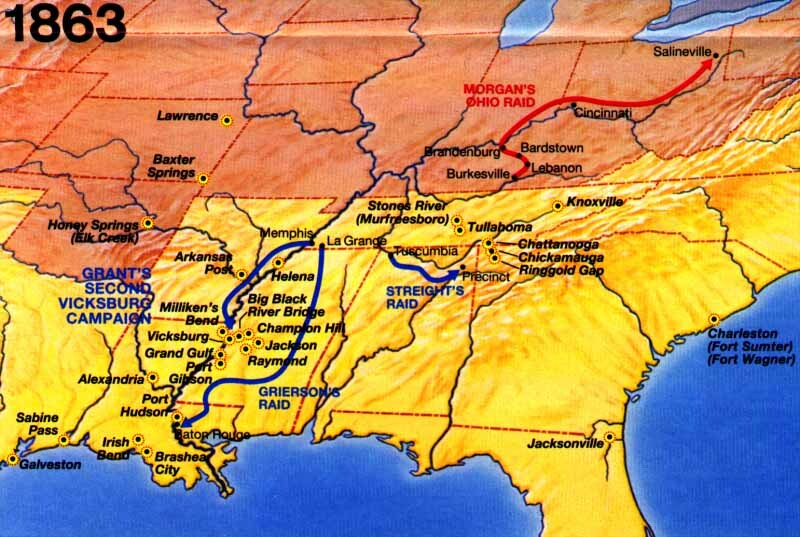 Left Helena on the 21 of December 1862 and joined Gen. Sherman in his unfortunate expedition against Vicksburg. 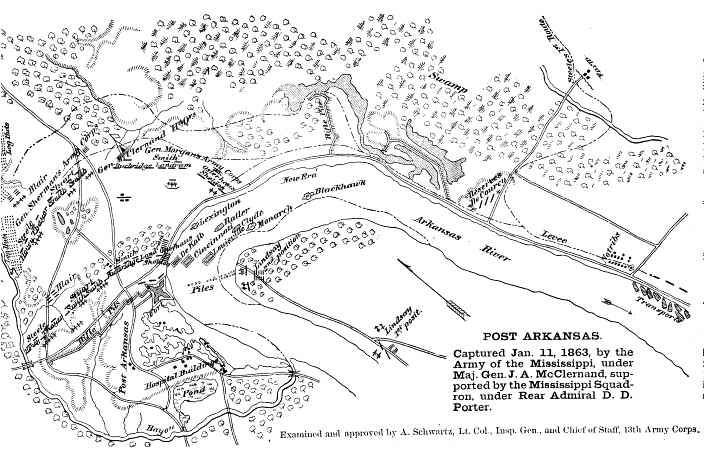 McClernand's troops and Porter's fleet reached Arkansas Post on the evening of the 9th of January 1863. In the operations of the 10th and 11th of January, 1863, they had a further taste of war, accompanied with the exulation of victory. The Thirty-Fourth took a leading part in the siege and capture of the fort. Its flag being one of the first placed within the breastworks of the rebels, by Major R. D. Kellogg. "General McClerland has fallen back to the White River, and gone on a wild-goose chase to the Post of Arkansas." -- Lieutenant General Ulysses S. Grant, dispatch to Halleck, January 1863. "Glorious! Glorious! ... My star is ever on the ascent." -- Major General John A. McClerland, following the Battle of Arkansas Post, January 1863. The first difficulty which he(Grant) encountered was a protest from General McClernand against his (Grant's) assumption of personal command. McClernand insisted that he was placed in this, as an independent command, by the President, and denied General Grant's right to supersede or control him. "As I am invested," he said to Grant under date of January 30th, "by order of the Secretary of War, indorsed by the President, and by order of the President communicated to you by the General-in-chief, with the command of all the forces operating on the Mississippi River, I claim that all orders affecting the condition or operations of those forces should pass through these headquarters.... If different views are entertained by you, then the question should be immediately referred to Washington, and one, or both of us, relieved." Again, on the same day, he wrote General Grant a long letter, insisting upon his right to command, in which he says: "I repeat that I respectfully ask for an explanation of this seeming conflict of authority and orders, that I may be enabled to guide my action intelligently." Next day General Grant answered him, saying, "The intention of General Order No. 13 is that I will take direct command of the Mississippi River expedition, which necessarily limits your command to the Thirteenth Army Corps." HEADQUARTERS ARMY OF THE MISSISSIPPI, Post Arkansas, January 16, 1863. - His Excellency ABRAHAM LINCOLN, President of the United States: - SIR: I believe my success here is gall and wormwood to the clique of West Pointers who have been persecuting me for months. How can you expect success when men controlling the military destinies of the country are more chagrined at the success of your volunteer officers than the very enemy beaten by the latter in battle? Something must be done to take the hand of oppression off citizen soldiers whose zeal for their country has prompted them to take up arms, or all will be lost....The Mississippi River being the only channel of communication, and that being infested with guerrillas, how can General Grant at a distance of 400 miles intelligently command the army with me? He cannot do it. It should be made an independent command, as both you and the Secretary of War, as I believe, originally intended. Very respectfully, your obedient servant, JOHN A. McCLERNAND. As General McClernand gets ready to head back to Milliken's Bend, he is annoyed to discover that the nearby town of Napoleon is in flames. "Take measures immediately to extinguish the flames..., and find...the incendiaries." An embarrassed Sherman is unable to comply. "I went in person to direct the extinguishment of the fire....It was impossible....It is [also] impossible to find out the incendiary; not a clue can now be found." Sherman however, has other troubles on his mind. 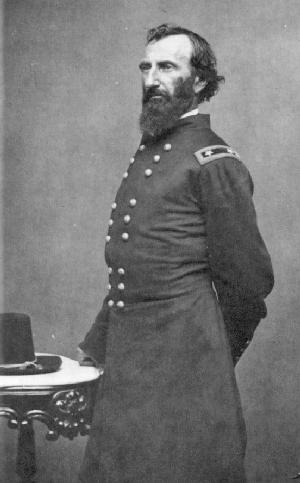 First and foremost, is his new commander John McClernand, who Sherman feels is "unfit and...consumed by an inordinate personal ambition." "Cump" is also dismayed to learn that Grant is unhappy with the expedition's recent venture into Arkansas. HEADQUARTERS FIFTEENTH ARMY CORPS, On board Forest Queen, Napoleon, Ark., January 17, 1863. - Maj. Gen. U.S. GRANT, Commanding Department of Tennessee: - DEAR GENERAL: I take a liberty of writing you direct semi-officially....I infer from a remark made by General McClernand that you have disapproved the step. If I could believe that Banks had reduced Port Hudson and appeared at Vicksburg during our absence I would feel the force of your disapproval, but I feel so assured that we will again be at Vicksburg before Banks is there that I cannot think any bad result of this kind can occur....Could we have followed up, the capture of Little Rock would have been easy....As to forcing a passage at any point along the Yazoo [River] from its mouth to Haines' [Bluff] I doubt it. I wish you would come down and see. 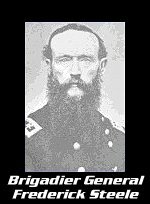 I only fear McClernand may attempt impossibilities....I am, with great respect, your obedient servant, W. T. SHERMAN, Major-General, Commanding. To this General McClernand responded on February 1st, saying: "I acquiesce in the order for the purpose of avoiding a conflict of authority in the presence of the enemy, but ... I protest against its competency and justice, and respectfully request that this my protest may be forwarded to the General-in-chief, and through him to the Secretary of War, and the President." HEADQUARTERS DEPARTMENT OF THE TENNESSEE, Before Vicksburg, February 1, 1863. - Col. J. C. KELTON, Assistant Adjutant-General, Washington, D.C.: - COLONEL: General McClernand was assigned to duty in this department, with instructions to me to assign him to the command of an army corps operating on the Mississippi River, and to give him the chief command, under my direction. This I did, but subsequently receiving authority to assign the command to any one I thought most competent, or to take it myself, I determined to at least be present with the expedition....But whether I do General McClernand injustice or not, I have not confidence in his ability as a soldier to conduct an expedition of the magnitude of this one successfully. In this opinion I have no doubt but I am borne out by a majority of the officers of the expedition....I respectfully submit this whole matter to the General-in-Chief and the President. Whatever the decision made by them, I will cheerfully submit to and give a hearty support. I am, colonel, very respectfully, your obedient servant, U.S. GRANT, Major-General. 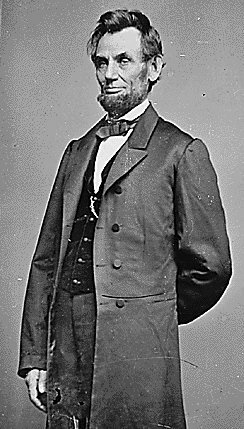 General Grant duly forwarded the protest to the War Office, and his action was approved, and here the matter ended. Upon hearing of his demotion, an outraged McClernand protested to Grant in writing. He also wrote to Lincoln, protesting, "Do not let me be clandestinely destroyed," and again requested the independent command originally promised to him. I have too many family controversies (so to speak) already on my hands to . . . take up another. You are now doing well for the country and well for yourself much better than you could possibly be if engaged in open war with General Halleck. Allow me to beg that for your sake, for my sake, and for the country’s sake, you give your whole attention to the better work. 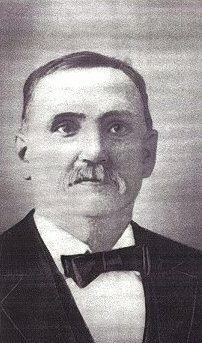 McClernand reluctantly accepted his position under Grant. But he also knew that he was next in line for command and had hopes someday of replacing Grant. 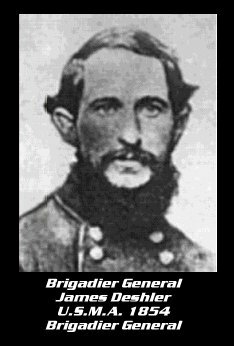 Meanwhile, he assumed his role as Commander, 13th Corps, Army of the Tennessee. The 13th Corps consisted of four divisions, the 9th Division under command of Brigadier General Peter J. Osterhaus, the 10th Division, commanded by Brigadier General Andrew J. Smith, the 12th Division, commanded by Brigadier General Alvin P. Hovey, and the 14th Division, under the command of Brigadier General Eugene A. Carr. 1812-1900, From, b. Breckinridge co., Ky. 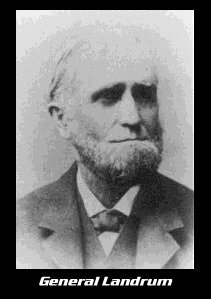 He was admitted 1832 to the Illinois bar attained a seat as a Democrat in the U.S. House of Representatives from 1843-1851 and 1859-61. At the onset of the Civil War he resigned from Congress, raised a brigade of Illinois volunteers, and was given the rank of brigadier general in May of 1861. He fought at Fort Donelson in Feb, 1862 and at the battle of Shiloh. 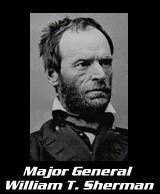 Through political maneuvering he superseded William T. Sherman on Jan. 2, 1863 taking command of the river expedition in the Vicksburg campaign . 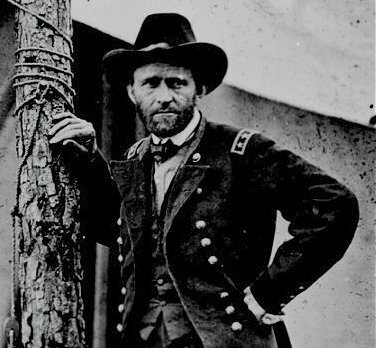 After McClernand upon Sherman's suggestion had successfully assaulted Arkansas Post, Ulysses S. Grant took his command. During Grant's successful advance on Vicksburg, McClernand led the 13th Corps, fighting at Port Gibson and Champion's Hill, he was later relieved for insubordination. His command was later restored in Feb, 1864, he then resigned his commission in November and returned to the legal profession. At midnight I left Admiral Porter on his gunboat; he had his fleet ready and the night was propitious. I rode back to camp and gave orders for all to be ready by daybreak; but when daylight came I received a note from General Steele reporting that, before his boats had got up steam, the fog had settled down on the river so thick and impenetrable, that it was simply impossible to move; so the attempt had to be abandoned. The rain, too, began to fall, and the trees bore water-marks ten feet above our heads, so that I became convinced that the part of wisdom was to withdraw. I ordered the stores which had been landed to be reembarked on the boats, and preparations made for all the troops to regain their proper boats during the night of the 1st of January, 1863. From our camps at Chickasaw we could hear, the whistles of the trains arriving in Vicksburg, could see battalions of men marching up toward Haines's Bluff, and taking post at all points in our front. I was more than convinced that heavy reenforcements were coming to Vicksburg; whether from Pemberton at Grenada, Bragg in Tennessee, or from other sources, I could not tell; but at no point did the enemy assume the offensive; and when we drew off our rear-guard, on the morning of the 2d, they simply followed up the movement, timidly. Up to that moment I had not heard a word from General Grant since leaving Memphis; and most assuredly I had listened for days for the sound of his guns in the direction of Yazoo City. On the morning of January 2d, all my command were again afloat in their proper steamboats, when Admiral Porter told me that General McClernand had arrived at the mouth of the Yazoo in the steamboat Tigress, and that it was rumored he had come down to supersede me. 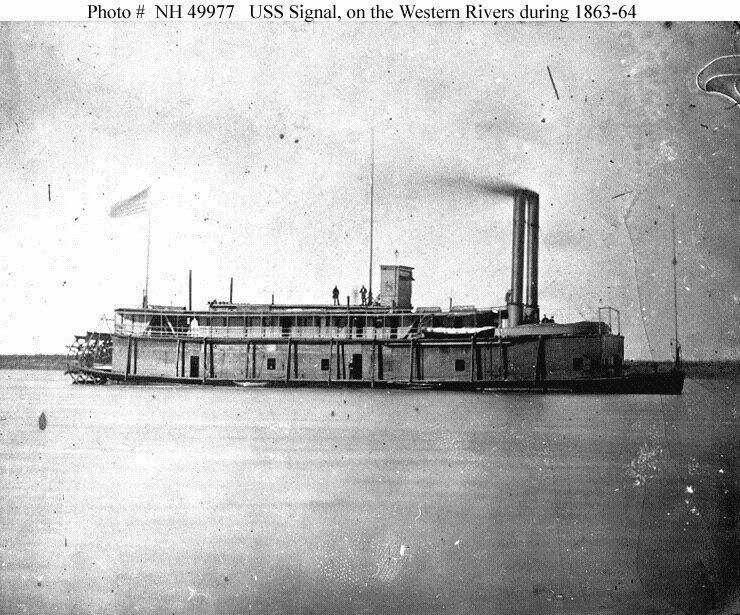 Leaving my whole force where it was, I ran down to the month of the Yazoo in a small tug boat, and there found General McClernand, with orders from the War Department to command the expeditionary force on the Mississippi River. I explained what had been done, and what was the actual state of facts; that the heavy reenforcements pouring into Vicksburg must be Pemberton's army, and that General Grant must be near at hand. He informed me that General Grant was not coming at all; that his depot at Holly Springs had been captured by Van Dorn, and that he had drawn back from Coffeeville and Oxford to Holly Springs and Lagrange; and, further, that Quinby's division of Grant's army was actually at Memphis for stores when he passed down. This, then, fully explained how Vicksburg was being reenforced. I saw that any attempt on the place from the Yazoo was hopeless; and, with General McClernand's full approval, we all came out of the Yazoo, and on the 3d of January rendezvoused at Milliken's. Bend, about ten miles above. 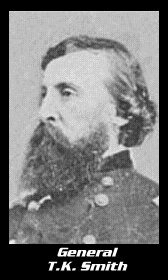 On the 4th General McClernand issued his General Order No. 1, assuming command of the Army of the Mississippi, divided into two corps; the first to be commanded by General Morgan, composed of his own and A. J. Smith's divisions; and the second, composed of Steele's and Stuart's divisions, to be commanded by me. 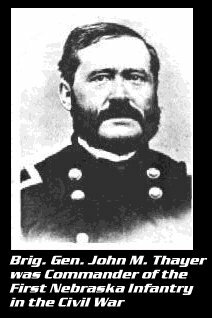 Up to that time the army had been styled the right wing of (General Grant's) Thirteenth Army Corps, and numbered about thirty thousand men. The aggregate loss during the time of any command, mostly on the 29th of December, was one hundred and seventy-five killed, nine hundred and thirty wounded, and seven hundred and forty-three prisoners. According to Badeau, the rebels lost sixty-three killed, one hundred and thirty-four wounded, and ten prisoners. It afterward transpired that Van Dorn had captured Holly Springs on the 20th of December, and that General Grant fell back very soon after. General Pemberton, who had telegraphic and railroad communication with Vicksburg, was therefore at perfect liberty to reenforce the place with a garrison equal, if not superior, to my command. The rebels held high, commanding ground, and could see every movement of our men and boats, so that the only possible hope of success consisted in celerity and surprise, and in General Grant's holding all of Pemberton's army hard pressed meantime. General Grant was perfectly aware of this, and had sent me word of the change, but it did not reach me in time; indeed, I was not aware of it until after my assault of December 29th, and until the news was brought me by General McClernand as related. General McClernand was appointed to this command by President Lincoln in person, who had no knowledge of what was then going on down the river. Still, my relief, on the heels of a failure, raised the usual cry, at the North, of "repulse, failure, and bungling." There was no bungling on my part, for I never worked harder or with more intensity of purpose in my life; and General. Grant, long after, in his report of the operations of the siege of Vicksburg, gave us all full credit for the skill of the movement, and described the almost impregnable nature of the ground; and, although in all official reports I assumed the whole responsibility, I have ever felt that had General Morgan promptly and skillfully sustained the lead of Frank Blair's brigade on that day, we should have broken the rebel line, and effected a lodgment on the hills behind Vicksburg. General Frank Blair was outspoken and indignant against Generals Morgan and De Courcey at the time, and always abused me for assuming the whole blame. But, had we succeeded, we might have found ourselves in a worse trap, when General Pemberton was at full liberty to turn his whole force against us. 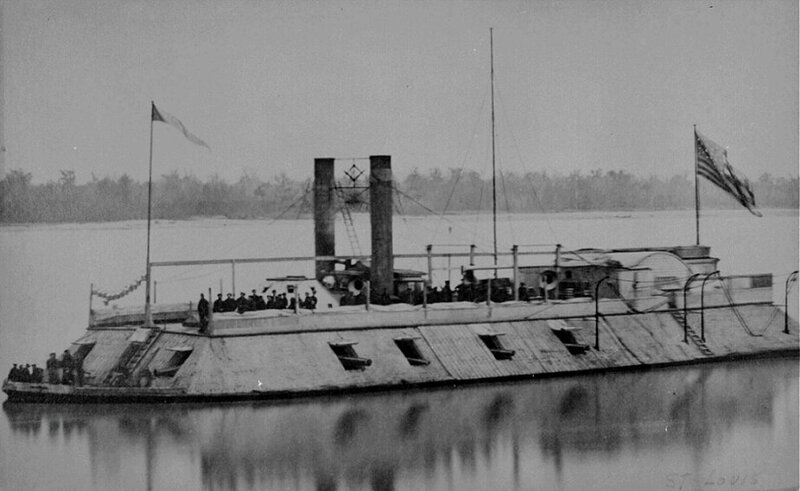 While I was engaged at Chickasaw Bayou, Admiral Porter was equally busy in the Yazoo River, threatening the enemy's batteries at Haines's and Snyder's Bluffs above. In a sharp engagement he lost one of his best officers, in the person of Captain Gwin, United States Navy, who, though on board an ironclad, insisted on keeping his post on deck, where he was struck in the breast by a round shot, which carried away the muscle, and contused the lung within, from which he died a few days after. 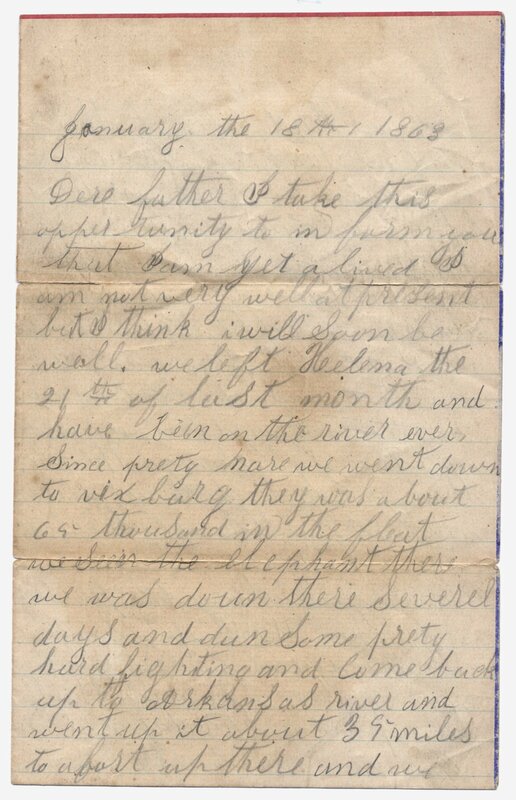 We of the army deplored his loss quite as much as his fellows of the navy, for he had been intimately associated with us in our previous operations on the Tennessee River, at Shiloh and above, and we had come to regard him as one of us. On the 4th of January, 1863, our fleet of transports was collected at Milliken's Bend, about ten miles above the mouth of the Yazoo, Admiral Porter remaining with his gunboats at the Yazoo. General John A. McClernand was in chief command, General George W. Morgan commanded the First Corps and I the Second Corps of the Army of the Mississippi. We had reports from this fort, usually called the "Post of Arkansas," about forty miles above the mouth, that it was held by about five thousand rebels, was an inclosed work, commanding the passage of the river, but supposed to be easy of capture from the rear. At that time I don't think General McClernand had any definite views or plays of action. If so, he did not impart them to me. He spoke, in general terms of opening the navigation of the Mississippi, "cutting his way to the sea," etc., etc., but the modus operandi was not so clear. Knowing full well that we could not carry on operations against Vicksburg as long as the rebels held the Post of Arkansas, whence to attack our boats coming and going without convoy, I visited him on his boat, the Tigress, took with me a boy who had been on the Blue Wing, and had escaped, and asked leave to go up the Arkansas, to clear out the Post. He made various objections, but consented to go with me to see Admiral Porter about it. 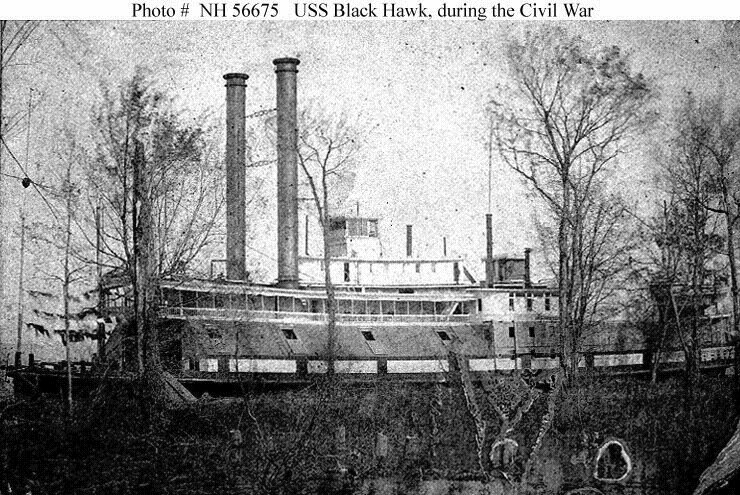 We got up steam in the Forest Queen, during the night of January 4th, stopped at the Tigress, took General McClernand on board, and proceeded down the river by night to the admiral's boat, the Black Hawk, lying in the mouth of the Yazoo. It must have been near midnight, and Admiral Porter was in deshabille. We were seated in his cabin and I explained my views about Arkansas Post, and asked his cooperation. He said that he was short of coal, and could not use wood in his iron-clad boats. Of these I asked for two, to be commanded by Captain Shirk or Phelps, or some officer of my acquaintance. At that moment, poor Gwin lay on his bed, in a state-room close by, dying from the effect of the cannon shot received at Haines's Bluff, as before described. Porter's manner to McClernand was so curt that I invited him out into a forward-cabin where he had his charts, and asked him what he meant by it. He said that "he did not like him;" that in Washington, before coming West, he had been introduced to him by President Lincoln, and he had taken a strong prejudice against him. I begged him, for the sake of harmony, to waive that, which he promised to do. Returning to the cabin, the conversation was resumed, and, on our offering to tow his gunboats up the river to save coal, and on renewing the request for Shirk to command the detachment, Porter said, "Suppose I go along myself?" I answered, if he would do so, it would insure the success of the enterprise. At that time I supposed General McClernand would send me on this business, but he concluded to go himself, and to take his whole force. Orders were at once issued for the troops not to disembark at Milliken's Bend, but to remain as they were on board the transports. My two divisions were commanded--the First, by Brigadier-General Frederick Steele, with three brigades, commanded by Brigadier-Generals F. P. Blair, C. E. Hooey, and J. M. Thayer; the Second, by Brigadier-General D. Stuart, with two brigades, commanded by Colonels G. A. Smith and T. Kilby Smith. 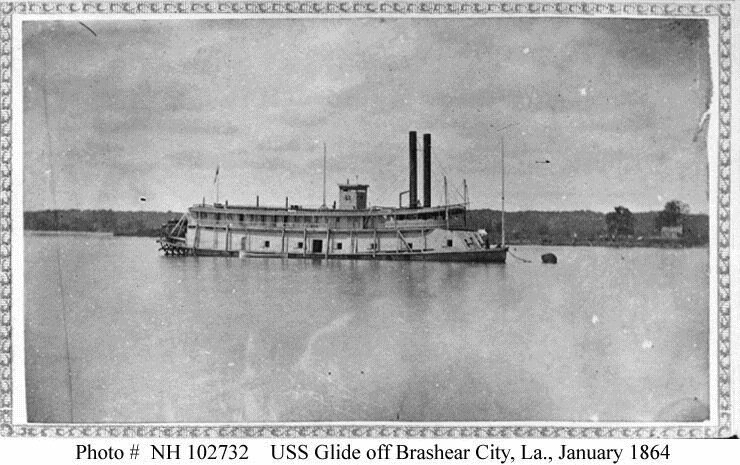 The whole army, embarked on steamboats convoyed by the gunboats, of which three were iron-clads, proceeded up the Mississippi River to the mouth of White River, which we reached January 8th. On the next day we continued up White River to the "Cut-off;" through this to the Arkansas, and up the Arkansas to Notrib's farm, just below Fort Hindman. Early the next morning we disembarked. 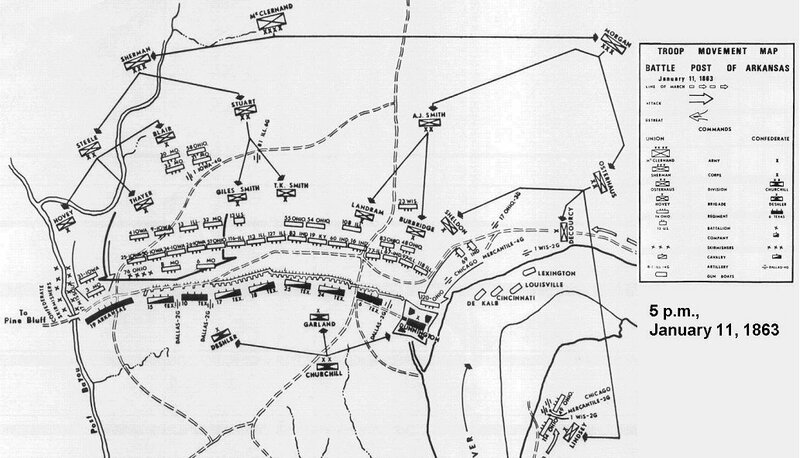 Stuart's division, moving up the river along the bank, soon encountered a force of the enemy intrenched behind a line of earthworks, extending from the river across to the swamp. 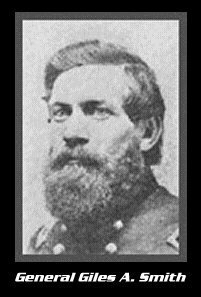 I took Steele's division, marching by the flank by a road through the swamp to the firm ground behind, and was moving up to get to the rear of Fort Hindman, when General McClernand overtook me, with the report that the rebels had abandoned their first position, and had fallen back into the fort. By his orders, we counter-marched, recrossed the swamp, and hurried forward to overtake Stuart, marching for Fort Hindman. The first line of the rebels was about four miles below Fort Hindman, and the intervening space was densely, wooded and obscure, with the exception of some old fields back of and close to the fort. During the night, which was a bright moonlight one, we reconnoitred close up, and found a large number of huts which had been abandoned, and the whole rebel force had fallen back into and about the fort. Personally I crept up to a stump so close that I could hear the enemy hard at work, pulling down houses, cutting with axes, and building intrenchments. I could almost hear their words, and I was thus listening when, about 4 A. M. the bugler in the rebel camp sounded as pretty a reveille as I ever listened to. 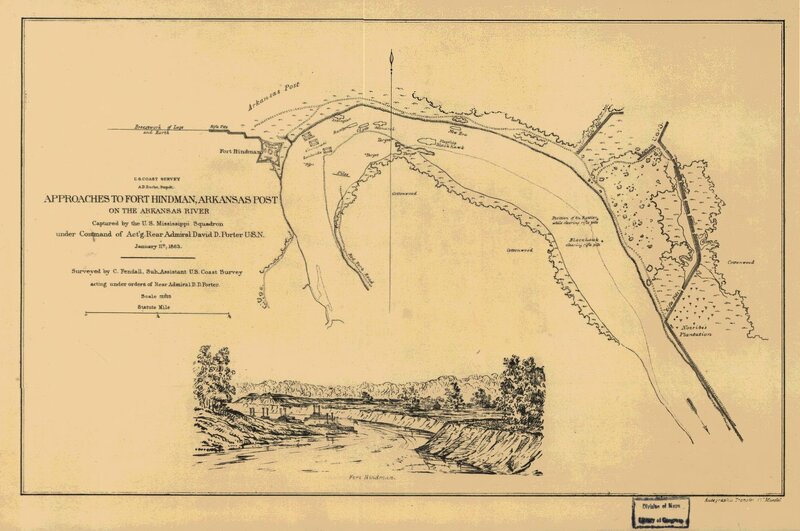 When daylight broke it revealed to us a new line of parapet straight across the peninsula, connecting Fort Hindman, on the Arkansas River bank, with the impassable swamp about a mile to its left or rear. This peninsula was divided into two nearly equal parts by a road. My command had the ground to the right of the road, and Morgan's corps that to the left. McClernand had his quarters still on the Tigress, back at Notrib's farm, but moved forward that morning (January 11th) to a place in the woods to our rear, where he had a man up a tree, to observe and report the movements. There was a general understanding with Admiral Porter that he was to attack the fort with his three ironclad gunboats directly by its water-front, while we assaulted by land in the rear. About 10 a.m. I got a message from General McClernand, telling me where he could be found, and asking me what we were waiting for. I answered that we were then in close contact with the enemy, viz., about five or six hundred yards off; that the next movement must be a direct assault; that this should be simultaneous along the whole line; and that I was waiting to hear from the gunboats; asking him to notify Admiral Porter that we were all ready. In about half an hour I heard the clear ring of the navy-guns; the fire gradually increasing in rapidity and advancing toward the fort. I had distributed our field-guns, and, when I judged the time had come, I gave the orders to begin. The intervening ground between us and the enemy was a dead level, with the exception of one or two small gullies, and our men had no cover but the few standing trees and some logs on the ground. The troops advanced well under a heavy fire, once or twice falling to the ground for a sort of rest or pause. Every tree had its group of men, and behind each log was a crowd of sharp-shooters, who kept up so hot a fire that the rebel troops fired wild. The fire of the fort proper was kept busy by the gunboats and Morgan's corps, so that all my corps had to encounter was the direct fire from the newly-built parapet across the peninsula. This line had three sections of field-guns, that kept things pretty lively, and several round-shot came so near me that I realized that they were aimed at my staff; so I dismounted, and made them scatter. As the gunboats got closer up I saw their flags actually over the parapet of Fort Hindman, and the rebel gunners scamper out of the embrasures and run down into the ditch behind. About the same time a man jumped up on the rebel parapet just where the road entered, waving a large white flag, and numerous smaller white rags appeared above the parapet along the whole line. I immediately ordered, "Cease firing!" and sent the same word down the line to General Steele, who had made similar progress on the right, following the border of he swamp. I ordered my aide, Colonel Dayton, to jump on his horse and ride straight up to the large white flag, and when his horse was on the parapet I followed with the rest of my staff. All firing had ceased, except an occasional shot away to the right, and one of the captains (Smith) of the Thirteenth Regulars was wounded after the display of the white flag. On entering the line, I saw that our muskets and guns had done good execution; for there was a horse-battery, and every horse lay dead in the traces. The fresh-made parapet had been knocked down in many places, and dead men lay around very thick. I inquired who commanded at that point, and a Colonel Garland stepped up and said that he commanded that brigade. I ordered him to form his brigade, stack arms, hang the belts on the muskets, and stand waiting for orders. Stuart's division had been halted outside the parapet. I then sent Major Hammond down the rebel line to the right, with orders to stop Steele's division outside, and to have the other rebel brigade stack its arms in like manner, and to await further orders. I inquired of Colonel Garland who commanded in chief, and he said that General Churchill did, and that he was inside the fort. I then rode into the fort, which was well built, with good parapets, drawbridge, and ditch, and was an inclosed work of four bastions. I found it full of soldiers and sailors, its parapets toward the river well battered in, and Porter's gunboats in the river, close against the fort, with their bows on shore. I soon found General Churchill, in conversation with Admiral Porter and General A. J. Smith, and about this time my adjutant-general, Major J. H. Hammond, came and reported that General Deshler, who commanded the rebel brigade facing and opposed to Steele, had refused to stack arms and surrender, on the ground that he had received no orders from his commanding general; that nothing separated this brigade from Steele's men except the light parapet, and that there might be trouble there at any moment. I advised General Churchill to send orders at once, because a single shot might bring the whole of Steele's division on Deshler's brigade, and I would not be responsible for the consequences; soon afterward, we both concluded to go in person. General Churchill had the horses of himself and staff in the ditch; they were brought in, and we rode together to where Garland was standing, and Churchill spoke to him in an angry tone, "Why did you display the white flag!" Garland replied, "I received orders to do so from one of your staff." Churchill denied giving such an order, and angry words passed between them. I stopped them, saying that it made little difference then, as they were in our power. We continued to ride down the line to its extreme point, where we found Deshler in person, and his troops were still standing to the parapet with their muskets in hand. Steele'e men were on the outside. I asked Deshler: "What does this mean? You are a regular officer, and ought to know better." He answered, snappishly, that "he had received no orders to surrender;" when General Churchill said: "You see, sir, that we are in their power, and you may surrender." Deshler turned to his staff-officers and ordered them to repeat the command to "stack arms," etc., to the colonels of his brigade. I was on my horse, and he was on foot. Wishing to soften the blow of defeat, I spoke to him kindly, saying that I knew a family of Deshlers in Columbus, Ohio, and inquired if they were relations of his. He disclaimed any relation with people living north of the Ohio, in an offensive tone, and I think I gave him a piece of my mind that he did not relish. He was a West Point graduate, small but very handsome, and was afterward killed in battle. I never met him again. Returning to the position where I had first entered the rebel line, I received orders from General McClernand, by one of his staff, to leave General A. J. Smith in charge of the fort and prisoners, and with my troops to remain outside. The officer explained that the general was then on the Tigress, which had moved up from below, to a point in the river just above the fort; and not understanding his orders, I concluded to go and see him in person. My troops were then in possession of two of the three brigades which composed the army opposed to us; and my troops were also in possession of all the ground of the peninsula outside the "fort-proper" (Hindman). I found General McClernand on the Tigress, in high spirits. He said repeatedly: "Glorious! glorious! my star is ever in the ascendant!" He spoke complimentarily of the troops, but was extremely jealous of the navy. He said: "I'll make a splendid report;" "I had a man up a tree;" etc. I was very hungry and tired, and fear I did not appreciate the honors in reserve for us, and asked for something to eat and drink. He very kindly ordered something to be brought, and explained to me that by his "orders" he did not wish to interfere with the actual state of facts; that General A. J. Smith would occupy "Fort Hindman," which his troops had first entered, and I could hold the lines outside, and go on securing the prisoners and stores as I had begun. I returned to the position of Garland's brigade and gave the necessary orders for marching all the prisoners, disarmed, to a pocket formed by the river and two deep gullies just above the fort, by which time it had become quite dark. After dark another rebel regiment arrived from Pine Bluff, marched right in, and was also made prisoners. There seemed to be a good deal of feeling among the rebel officers against Garland, who asked leave to stay with me that night, to which I of course consented. Just outside the rebel parapet was a house which had been used for a hospital. I had a room cleaned out, and occupied it that night. A cavalry-soldier lent me his battered coffee-pot with some coffee and scraps of hard bread out of his nose-bag; Garland and I made some coffee, ate our bread together, and talked politics by the fire till quite late at night, when we lay down on straw that was saturated with the blood of dead or wounded men. 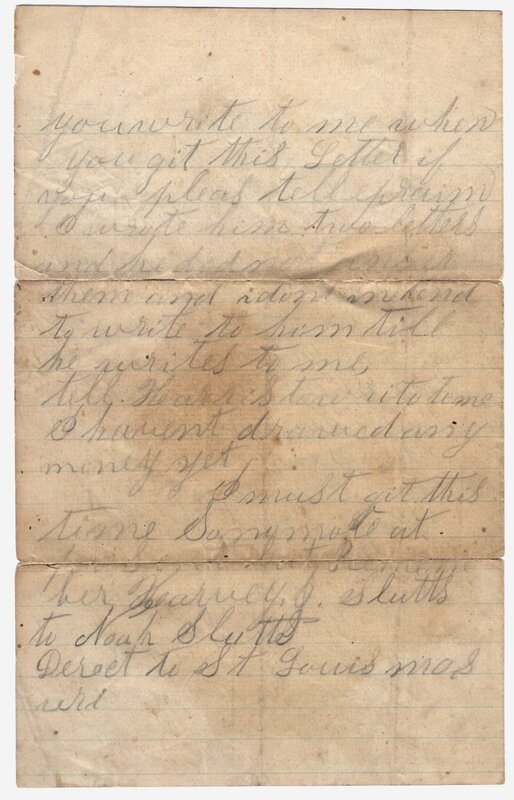 The next day the prisoners were all collected on their boats, lists were made out, and orders given for their transportation to St. Louis, in charge of my aide, Major Sanger. We then proceeded to dismantle and level the forts, destroy or remove the stores, and we found in the magazine the very ammunition which had been sent for us in the Blue Wing, which was secured and afterward used in our twenty-pound Parrott guns. 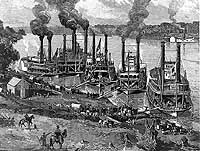 On the 13th we reembarked; the whole expedition returned out of the river by the direct route down the Arkansas during a heavy snow-storm, and rendezvoused in the Mississippi, at Napoleon, at the mouth of the Arkansas. Here General McClernand told me he had received a letter from General Grant at Memphis, who disapproved of our movement up the Arkansas; but that communication was made before he had learned of our complete success. When informed of this, and of the promptness with which it had been executed, he could not but approve. We were then ordered back to Milliken's Bend, to await General Grant's arrival in person. We reached Milliken's Bend January 21st. McClernand's report of the capture of Fort Hindman almost ignored the action of Porter's fleet altogether. This was unfair, for I know that the admiral led his fleet in person in the river-attack, and that his guns silenced those of Fort Hindman, and drove the gunners into the ditch. 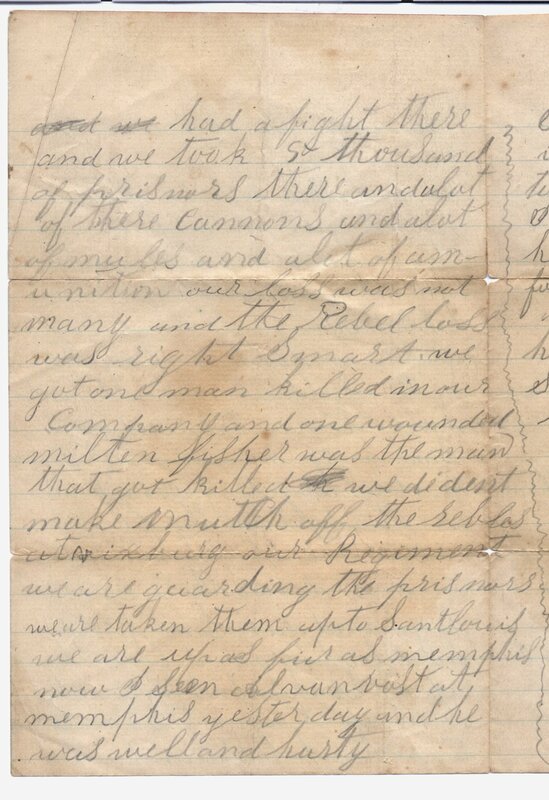 The aggregate loss in my corps at Arkansas Post was five hundred and nineteen, viz., four officers and seventy-five men killed, thirty-four officers and four hundred and six men wounded. 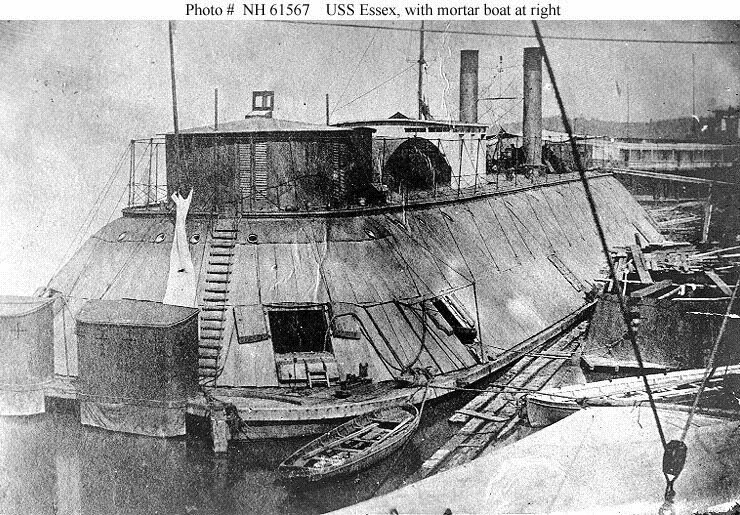 I never knew the losses in the gunboat fleet, or in Morgan's corps; but they must have been less than in mine, which was more exposed. The number of rebel dead must have been nearly one hundred and fifty; of prisoners, by actual count, we secured four thousand seven hundred and ninety-one, and sent them north to St. Louis. At the time of the Civil War, the Mississippi River was the single most important economic feature of the continent; the very lifeblood of America. Upon the secession of the southern states, Confederate forces closed the river to navigation, which threatened to strangle northern commercial interests. 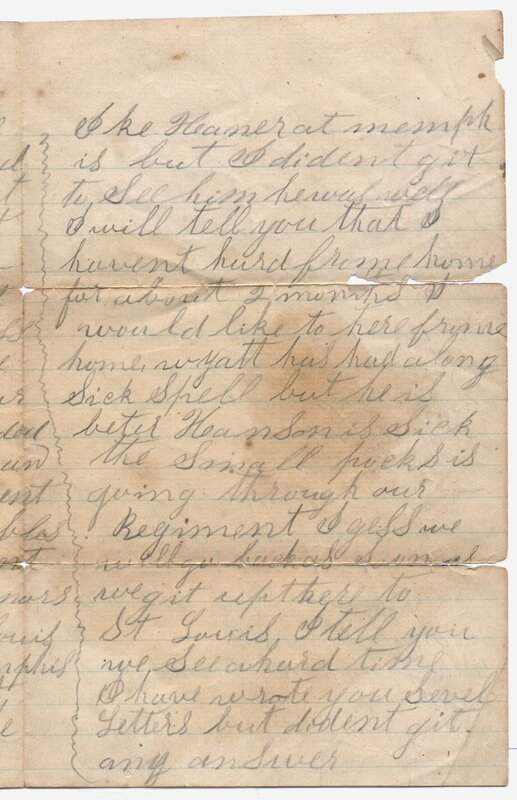 Vicksburg Siege "I picked up a letter"
Please feel free to link this page to any Civil War, history, or family history page. W. Morgan, consisted of Steele's and Stuart's (formerly M. L.
interfere with the opening of the Mississippi. afternoon of the 9th halted about 3 miles below the fort. of Sherman for the general assault on the fort. was 134 killed, 898 wounded and 29 missing. In 1686, Henri de Tonti established a trading post known as "Poste de Arkansea" at the Quapaw village of Osotouy. It was the first semi-permanent French settlement in the lower Mississippi River Valley. The establishment of the Post was the first step in a long struggle between France, Spain, and England over the interior of the North American continent. Over the years, the Post relocated as necessary due to flooding from the Arkansas River, but its position always served of strategic importance for the French, Spanish, American, and Confederate military. Spanish soldiers and British partisans clashed here in the 1783 "Colbert Incident," the only Revolutionary War action in Arkansas. Arkansas Post became part of the United States during the Louisiana Purchase of 1803. By 1819, the post was a thriving river port and the largest city in the region and selected the capital of the Arkansas Territory. During the Civil War, Confederate troops tried to maintain tactical control of the confluence of the two rivers, and in 1862 they constructed a massive earthen fortification known as Fort Hindman. In January 1863 Union troops destroyed the fort and adjacent river port town, ensuring control of the Arkansas River. Today, the memorial and museum commemorate the multi-layered and complex history of the site. Located on a peninsula bordered by the Arkansas River and two backwaters, the site offers excellent fishing and wildlife watching opportunities. AGENCY: National Park Service, DOI. participation in this scoping process are invited. facilitated by various means, including newsletters and open houses. local press and in NPS newsletters or other mailings. National Memorial, 1741 Old Post Road, Gillett, Arkansas 72055. Memorial, at the address and telephone number above. French trading post at the Quapaw Indian village of Osotuoy in 1686.
conducted in accordance with requirements of the NEPA (42 U.S.C. and policies for compliance with those regulations. will be available to the public by the summer of 2000. In 1686, Henri de Tonti established a trading post known as Poste de Arkansea at the Quapaw village of Osotuoy. It was the first semi-permanent French settlement in the lower Mississippi River Valley. The establishment of the post was the first step in a long struggle between France, Spain, and England over the interior of the North American continent. The site of that trading post moved seven times during its history due to flooding from the Arkansas River. 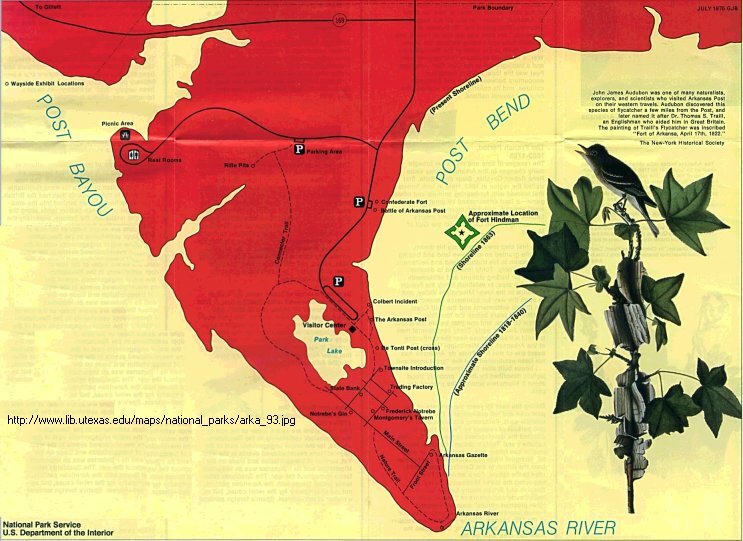 Because of its strategic location near the confluence of the Arkansas and Mississippi Rivers, Arkansas Post was the location of French, and later Spanish forts. In 1783, the Colbert Incident, the only Revolutionary War skirmish in Arkansas, occurred at Arkansas Post. In 1800 control transfered again to France and in 1803, Arkansas Post became part of the United States during the Louisiana Purchase. By 1819, the post was a thriving river port and the largest city in the region important enough to be selected the capital of the Arkansas Territory. During the Civil War, Confederate troops tried to maintain tactical control of the confluence of the two rivers, and in 1862 they constructed an earthen fortification known as Fort Hindman. 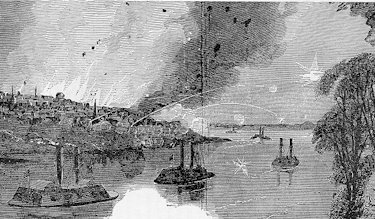 In January, 1863, Union troops destroyed the fort and adjacent river port town, ensuring control of the Arkansas River. Today, the park and museum commemorate the complex history of the site. Located on a peninsula bordered by the Arkansas River and two backwaters, the site offers excellent fishing and wildlife watching opportunities. Strausz once again is sent out by Porter on the afternoon of January 10 with a group of marines to make a reconnaissance of the fort which was only partially successful. In Strausz's report to Gerdes,(49) however, he gives an inkling of the source of his charm and ability to stay on Porter's good side. He reports: "The marines and I however claim the credit of having been the first to lead to the taking of some rifle pits at which we had been shelling all day, the Adml was quite amused when I reported the result of our expedition...." On January 11, 1863, the gunboats began firing on the fort at 2 P.M. and "at 3 P.M. the water batteries were silenced and the BLACK HAWK gallantly passed the fort.... by 4 1/2 P.M. the forts surrendered to the gunboats." Strausz must have been somewhat of a bon vivant as he advises Gerdes, whom he still believed would eventually report to Porter, to bring out supplies of "every kind," but in particular, "I think it would be very desirable to have either whisky or Hochstadtlers Bitters for we are all suffering from the want of some. Alcoholic liquors, if it would not be too much trouble for you, I would beg you to bring a few gallons or half doz. bottles of bitters on my account...."
Fendall finally got his chance to do real field work upon return from the Arkansas Post expedition. 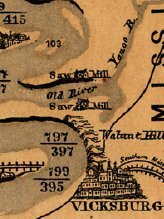 By late January, he was working along the Mississippi in front of Vicksburg producing a map of the river which was among the most beautiful of Civil War combat maps. This map was produced under the very noses of the Confederates. 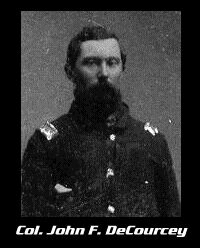 Fendall reported to Gerdes February 1, 1863: "Yesterday, I was three miles beyond our pickets and within 600 yds of the enemy's batteries. I did not stop work till the cannon balls plowed up the ground within 20 feet of us. One of my men had his hat blown off by the wind of a ball and one struck the levee just under my plane table. I reckon about all of the inhabitants of Vicksburg were out after me. We (our pickets) captured one captain who was heading off my retreat and I had a conversation with a boat which approached within 100 yards of my table. Tomorrow the Admiral will send a large force with me...."
Although Bache had previously had his concerns about Fendall's blunt nature, he was delighted to receive a copy of this letter from Gerdes, and he used "extracts from which I have at once sent to some of our friends in the House.... I shall write thro' you to Mr. Fendall. He is doing admirably. How timely these things are! Our bill is before the House and will soon be up for discussion...."(53) Bache was always looking for information to assist him in his yearly budget wars with Congress. Fendall, who was the most unlikely of individuals to assist in political battles, provided him with fodder which would aid in passing the Coast Survey budget uncontested in Congress for 1863-1864.